2019 is likely to become a new era of smartphones with large camera resolutions. After previously having Xiaomi with the Redmi Note 7, then Vivo V15 Pro which will be launched on February 20, now OPPO does not want to miss by presenting the F11 Pro series. 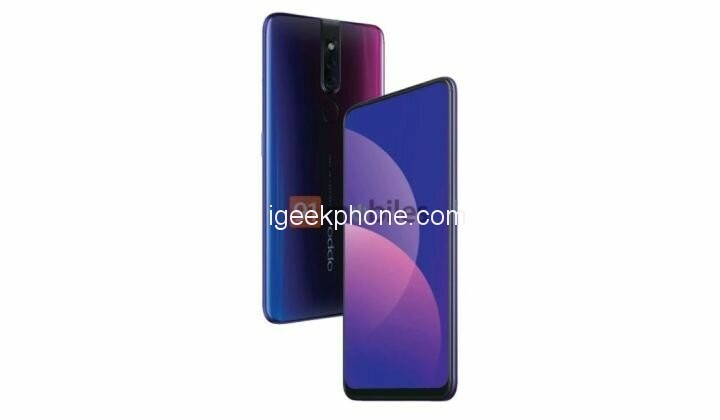 Currently, OPPO F11 Pro with the CPH1969 model number has been successfully certified in three countries, one of which is Indonesia. 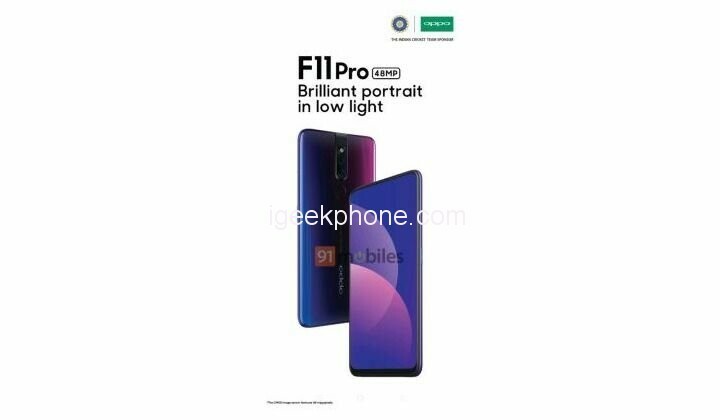 Towards the day of its appearance, there is now an official advertisement image showing several advantages of OPPO F11 Pro. This information comes from a source in India. First of its design, adopting a minimal bezel screen design on each side. But unfortunately, it is not known for sure what screen size and resolution it uses. Because the front is only filled with a screen, it is likely that OPPO will adopt a pop-up front camera design with 32MP resolution. Moving to the rear, there is a dual camera module, and a flash LED placed in one place. From its specifications, OPPO F11 Pro carries a camera with a resolution of up to 48MP. Like the Redmi Note 7, the F11 Pro can capture 12MP images and then apply pixel binning technology to 48MP photos. Then under the camera, there is still an oval-shaped fingerprint sensor. For its own innards, OPPO F11 Pro. is equipped with the latest chipset from MediaTek which is possible is the MediaTek P70 with support for 6GB RAM and 128GB of internal memory. In the battery sector, this smartphone has a 4500mAh battery and a USB Type-C charger port fast charging. More specific information about the premiere suggests the first week of March as the time when it can debut. The prices that appear on the web oscillate around $350 – it is of course India. We will see if the retractable front camera proves to be true and not only. It is not known for 100% whether the rear camera will have 2 or 3 lenses. Maybe the company will surprise us and we will see an additional camera eye?